Your objectives can only be achieved if scheduling is comprehensive, including all departments in the store, warehouse, manufacturing and distribution centers and utilizing your work methods, engineered labor standards, store characteristics and business volume as a foundation. Our Wall-to-Wall Labor Scheduling solution translates weekly and daily volume forecasts based on work content and volume into true staffing requirements and then schedules employees based on your specific policies and standards, and your employees’ work preferences. We decided to expand our relationship with Logile based on the cost savings we have realized from our implementation of Logile’s core labor planning and analytics (solutions). Supports a full array of legal and business rules, including minor employees, pharmacist/tech ratios, meals/breaks, seniority, skills and rotations. Automates employees scheduling across Pharmacy, Center Store, Fresh and Production Planning, Checkout and Service departments and stores. Provides optional template based scheduling for non-service departments. Aligns the schedule to budgetary constraints. 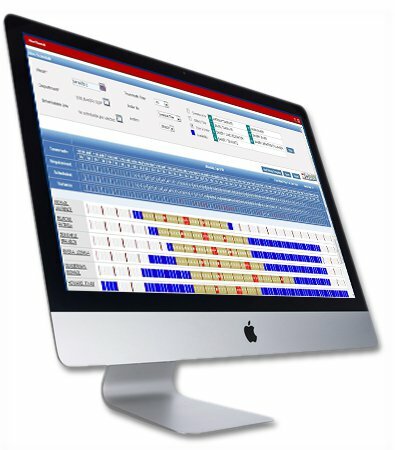 Enables adjustments via a line or wall schedule interface. Generates scheduling effectiveness reports, comparing system generated schedules with those actually posted, worked and earned, so you can identify and resolve issues with system accuracy or execution at store level.